COMMISSIONS : I am happy to discuss commissions. I work with the very best light fast pigments and materials to ensure the highest quality outcome. For example, fine Belgium linen, exhibition quality stretchers etc. Printmaking : generally I don’t do fine art PRINTMAKING to order as the process is extremely time consuming – my linocuts sometimes take hundreds of hours to complete. If your subject matter appeals to me and has potential for selling in galleries I am happy to discuss this. I would then, for an agreed price, let you have the first of the edition plus a detailed written account of the development of the artwork and a certificate of authentication. REPRODUCTIONS : I can supply high quality GICLEE reproductions of paintings. 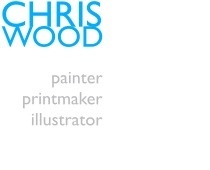 I endeavour to produce work within your timeframe but due to ongoing commissions I may not be able to start immediately. Some commissions take a day to create others might involve a lot of initial research and the work could take several months or more to complete. I can give you a better understanding of how long the process takes once we have clarified your exact specifications. WHO : I work with private collectors, galleries, organisations and businesses and have work in a number of countries around the world. FRAMING : prices do not include framing. I work with a small number of highly professional framers . I prefer not to frame work that has to be shipped as it requires a crate to ensure it arrives un-damaged. (This adds to the costs). I would recommend that the customer buys the work from me unframed (unless it’s a local delivery) and then gets his/her own framer to do the work. I always pack artwork so that it can withstand the roughest of treatment. I prefer to roll drawings and prints and ship them in cardboard tubes. Larger paintings are always packed in plywood crates. Where possible I like to use small independent couriers who deliver work by hand. International freight can be arranged via MY tried and tested agent (not yours). It’s standard practice for copyright to remain the property of the artist, although with commercial illustration copyright is often transferred to the publisher for an extra fee. PAYMENT : 50% of agreed price before I start work and 50% upon completion/delivery. SATISFACTION : I send digital images during the process and strive to give the customer a completed image that they will be happy with and proud to own. I ask for and value feedback from my customers throughout the process. Atelier Gallery 86 Castle Rd Southsea Pete Codling hosts a number of exhibitions each year and I regularly contribute drawings, paintings and prints.